Domestic violence extends beyond the home and into the workplace, a new Ontario study says, with one-third of perpetrators admitting they contacted their partner or ex during work hours to engage in emotionally abusive behaviour or to monitor her whereabouts, and nearly half saying that domestic violence issued affected their job performance. 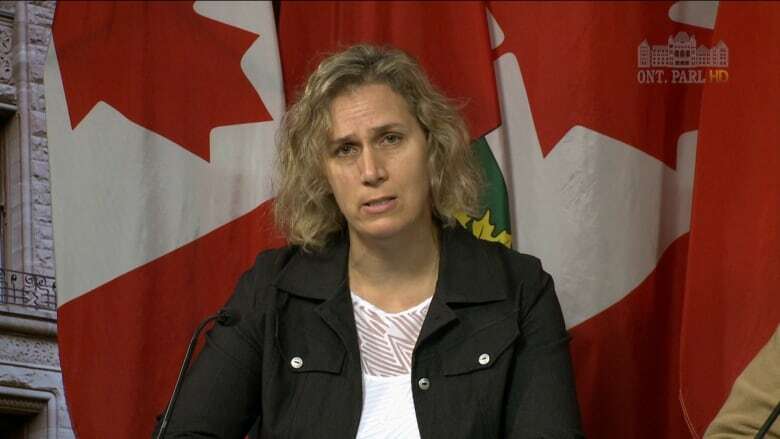 Domestic violence extends beyond the home and into the workplace, a new Ontario study says, with one-third of perpetrators admitting they contacted their partner or ex during work hours to engage in emotionally abusive behaviour or to monitor her whereabouts. Nearly half of the perpetrators surveyed said domestic violence issues affected their job performance. In a joint study issued Tuesday, researchers at Western University and the University of Toronto looked at how domestic violence carries over into the workplace and the effect that has on both victims and perpetrators, as well as workplace safety and productivity. Of the men who reported contacting a partner or ex during work hours to be emotionally abusive or to monitor her, 92 per cent used telephone calls, emails or text messages, though 14 per cent went to their partner or ex's workplace and 23 per cent went to the home. About one-fifth of the respondents who engaged in conflict, emotional abuse and/or monitoring also said that someone else at work knew about their behaviour. Eighty-two per cent said a co-worker knew, while 19 per cent said a colleague covered for them while they engaged in such behaviour. That said, however, only one in three men reported actually discussing their domestic violence situation with someone at their workplace, while between 40 and 50 per cent said their workplace was closed off from or unsupportive about dealing with domestic violence issues. Meanwhile, on safety and job performance, nearly half of respondents said their domestic violence issues sometimes, often or very often affected their job performance, while one in 10 said they caused or nearly caused an accident at work due to their distraction over these issues. "When we understand these numbers, we understand that domestic violence is a common social problem and it is a common problem in workplaces," lead researcher Katreena Scott of the University of Toronto told reporters on Tuesday. "And we have to appreciate that those who perpetrate domestic violence are our co-workers, our supervisors and those working under our supervision." For the study, researchers surveyed 500 men who were in one of Ontario's Partner Assault Response (PAR) programs between June of 2015 and February of 2017. Men can be referred to these programs through the criminal justice system as part of a diversion plan, or under their terms of probation or peace bond. About 11,000 perpetrators of domestic violence attend these programs across the province every year. In their study, the researchers noted that previous research has showed how domestic violence spills over into the workplace. A study of some 8,000 workers found that one-third of Canadian workers will experience domestic violence at some point in their lifetime, and for over half of them, that will follow them to work. And a 2015 study by the Conference Board of Canada noted that 71 per cent of employers and 55 per cent of government employers reported a situation where they had to protect an employee who was a victim of domestic violence. "But few employers provide training, either to their managers or their employees, to know what to do when domestic violence happens or is suspected," said Barb MacQuarrie, community director of Western's Centre for Research & Education on Violence Against Women & Children. Last year, Manitoba amended its employment standards to provide five paid days off for workers dealing with a domestic violence situation. Legislation is pending in Ontario and Saskatchewan. In Ontario, Bill 148 includes a 10- to 15-day leave of absence with job protection when an employee or a child experiences domestic or sexual violence. The NDP has proposed a private member's bill that would provide up to 10 days of paid leave and allow for up to 15 weeks of unpaid leave while a victim of domestic violence accesses services, finds a new place to live or deals with the court system. Generally, research into domestic violence focuses on documenting victims' experiences and interventions are aimed at preventing potential victimization, Scott said. The new research, however, asks perpetrators about their experience, and is aimed at painting a picture of just how far domestic violence extends into the workplace and to document the costs of employers failing to address the issue. Tim Kelly, executive director of Changing Ways, a PAR program in London, Ont., said he hopes the study serves as a "stepping stone" toward a more informed and meaningful dialogue about domestic violence at work, and to launch initiatives aimed at addressing domestic violence in the workplace. Establishing pro-active policies to address domestic violence in the workplace, including procedures to encourage workers to disclose domestic violence in a safe manner. Developing partnerships between employers and community-based programs to develop better capacity to intervene and prevent domestic violence among perpetrators. Educating managers, supervisors and workers about domestic violence in the workplace and provide them with tools to intervene with perpetrators and potential perpetrators. "The experience described in this report begins to chart a path toward understanding the importance of workplace interventions and supports," Kelly said.